Maxime "Max" Talbot. He's the colorful role player known around Pittsburgh for his light-hearted A&L Motors commercials as much as his gritty, anything-it-takes style of play, as this clip will illustrate. Is he a pure goal scorer? Not so much. In his four NHL seasons, he's scored 5, 13, 12, and 12 goals. But once the second season starts, he becomes a different player. In Juniors, Talbot had 14 goals and 30 assists for the 2002-03 Hull Olympiques in the playoffs, and 11 goals and 16 assists for the 2003-04 Gatineau Olympiques. And this year, following that 12-goal regular season, Mad Max notched eight in the postseason. After his two-goal performance in Game Seven of the 2009 Stanley Cup Finals, he's ensured that he'll be mentioned in any articles like this on the topic for the rest of time. For all intents and purposes, he was the MVP of the 2009 Finals. While Talbot supplied all the offense in Game Seven that the Penguins would need to hoist their first Cup since 1992, Marc-Andre Fleury provided the defense, with the game he absolutely needed to play in order for the Penguins to win. The Flower would stop 23 of 24 Red Wings shots, including a flurry (seriously, no pun intended) in the closing seconds of the contest that was eerily reminiscent of the Penguins' eventual exit in Game Six last year. Fleury put on a Herculean effort that finally beat Chris Osgood in his own building. Will a Stanley Cup victory finally silence the Fleury critics a bit? I sure hope so. Osgood, who allowed two goals combined in three previous home Finals games, surrendered two in one period to one player. On the night, he finished 16-for-18, including the stop of the one and only Penguin shot in the third period. Not bad, but not good enough, at least in this case. 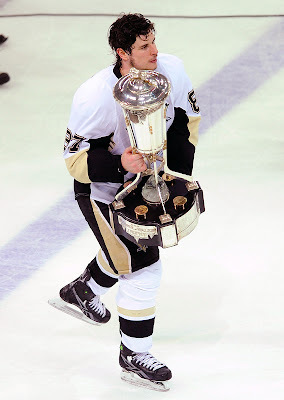 Now that we can take a brief look back, we can speculate about what it took to get the Cup back in Penguin hands. Was it touching the Wales Trophy? Changing hotels? Eating at Qdoba? Well, having Sidney Crosby on the team probably had something to do with it. But in a game where Crosby saw the ice for just 9:59 due to an injury that the classy Detroit fans cheered, the Penguins were once again able to overcome adversity, a theme that's become common to an organization that's nearly been extinct more than once in its recent history. And looking back some more, what a roller-coaster of a season it was for the Boys of Winter. Starting with the losses of Marian Hossa, Ryan Malone, Gary Roberts, Ty Conklin, Jarkko Ruutu, Georges Laraque and Adam Hall (by the way, wonder how those guys are feeling right now? ), the team had some rebuilding to do. In came Ruslan Fedotenko, Miroslav Satan, Matt Cooke, Eric Godard, and later, Mathieu Garon, Chris Kunitz, Craig Adams, and Bill Guerin. Out went Ryan Whitney and Dany Sabourin. And don't forget, we also had a death in the Penguin family along the way, longtime organist Vince Lascheid. The season started in, of all places, Sweden, for the Daniel Alfredsson Homecoming Series with the Ottawa Senators. In the opener, Tyler Kennedy scored twice, including the game-winner in OT, and Rob Scuderi chipped in with a goal as well. If only we knew then how that would be such foreshadowing of what was to come from the "secondary" scoring options of the team. The team was 14-6-3 by the end of November, but the natives were restless, as evidenced by guest-writer Koz grading the team and giving the wingers a 'D' grade during that month, while vowing never to speak the name "Jordan Staal" again. Not even a dramatic 7-6 overtime win over the Red Wings could change our minds. When players-only meetings are on the agenda, it's usually not a great sign. By January 3, the Penguins had officially lost more games than they had won, with a 6-1 loss to Florida in the middle of a six-game losing skid. The Penguins would win five and lose nine in the first month of 2009. 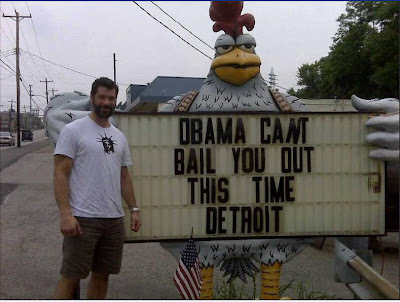 Things were beginning to look bleak. On February 15, the Penguins came to a fork in the road and decided to finally part ways with head coach Michel Therrien, who had led them to a Stanley Cup appearance in the prior season. It was a controversial decision, as some viewed Therrien as a sacrificial lamb for the team's poor play. He would be replaced by a little-known coach from Wilkes-Barre who went by the name of "Disco" Dan Bylsma. 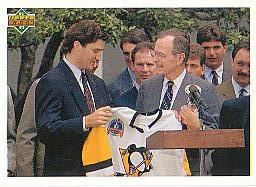 Few would anticipate that Mr. Bylsma would be hoisting the Stanley Cup just a few months later. On February 16, the infamous article was penned by the PG's Gene Collier, entitled: "Penguins get 2 points, but play leaves little doubt season is over." I know that at least on this site, it served as bulletin-board material. Under Bylsma, with new acquisitions Kunitz, Guerin, and Adams in tow, the new-look Pens caught fire. In the month of March, they won 10 and dropped three, with two of the losses coming in shootouts. The team had renewed energy and enthusiasm. Hockey began to look fun again. And most importantly, they remembered the formula for winning. Having fought their way from 10th place in the East to an unlikely spot at the four seed, Bylsma had navigated the Pens into the postseason. And the faces they would see along the way were all too familiar. In round one, the Penguins drew a playoff rematch with the Philadelphia Flyers. The aggressive Flyers handed the Penguins 29 power plays over the course of six games, with Pittsburgh cashing in only four times. 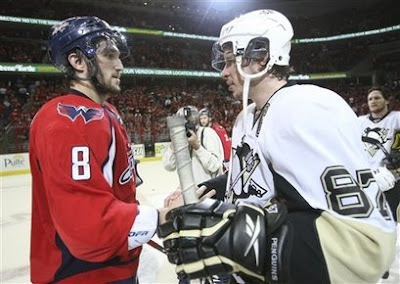 But the Pens survived, and moved on to face Alex Ovechkin in the NHL's dream matchup. After an 0-5 start in Game One against the Caps, the power play then came to life, scoring in every game thereafter. Much like in the Detroit series, the Penguins dug a quick 0-2 hole on the road, battled back, and took the series on the road in decisive fashion in Game Seven. It was then on to Carolina, and with the Cup Finals in sight, the Pens easily handled Eric Staal, Bill Cowher, and the Hurricanes in four games, outscoring Carolina 20-9 in the process. Canes goalie Cam Ward is still looking for the number of that freight train that ran him over. I think it was #71. And at last, we come to the Finals, where the Penguins once again brought out their shovels for another 0-2 hole on the road. Although the play was much improved over the 2008 Finals, the results were still the same. The Pens would need to win four of five against the mighty Wings to capture Lord Stanley's Cup. And guess what? They did. For heroes, we'll start with the MVP, Mr. Malkin. He further endeared himself into our city's culture with the appearances of his parents at games and on television, as he finally started to come out of his shell. His statistics of 14 goals and 22 assists were among the most eye-popping in a long, long time. His enthusiasm was contagious. What else can you say? Pittsburgh has a love affair with his entire family. Sidney Crosby, who displayed determination and focus on a Jordan/Tiger level throughout the playoffs (save only for a frustration penalty in Game Five), brought 15 goals and 16 assists to the table in the postseason. True, he only had one goal in the Finals. But I hardly think anyone can criticize the impact that #87 had on each and every series. Your heart broke for him when he was unable to finish Game Seven, but seeing him hold the sport's biggest prize, a moment he's literally built his whole life around, was a bit of redemption. We next come to Bill Guerin, the late-season, high-mileage import who was gifted to the Penguins from the New York Islanders. If I told you the Pens would get their third-leading playoff scorer in exchange for a conditional draft pick, I think everyone would take that deal. There are the 'grit' guys, the players who treated their bodies with absolute reckless abandon. I'm talking about men like Matt Cooke, Chris Kunitz, and Rob Scuderi, who probably acquired more bruises in the postseason that each of us has in our entire lives. Combined. You also have players who stepped up with huge goals in huge moments. Jordan Staal. Kris Letang. Tyler Kennedy. If you haven't yet gotten the drift that this was a team effort beyond Sid and Geno, I'm clearly not doing a good job in effective writing. Then, there are the injured. Petr Sykora, scratched 14 times in a row, suited up for Game Six, blocked a shot, and broke his foot as a result. Sergei Gonchar battled back from an Ovechkin-caused injury to have a solid postseason, with 3 goals and 11 assists. And Fleury, who overcame the mental scarring of being pulled one week ago in a Game Five in favor of Garon, might have been the biggest story of all. His bounce-back powers are becoming the stuff of legends. Four times in the postseason he allowed at least four goals in a game, and after each loss, he came back the next game with a win. In the end, it was simply an amazing ride, much like another amazing ride that concluded in early February. The great moments are countless. The photos, the stories, the songs, the emails...they're too numerous to attempt to cover in one post. The Penguins became the first road team in the NHL, NBA, or MLB to win a Finals Game Seven since the We Are Family Pirates of 1979, breaking a streak of 18 straight for the home team. In the process, they delivered the Stanley Cup to a city that already owns the Lombardi Trophy, a feat that's never been done. Once again, 30 years after the name came about, we can call ourselves "The City of Champions". It feels good, Pittsburgh. And Sid, it couldn't have ended any better. Anybody else sortof disappointed with Mike Lange's call at the end? I'm like Dameshek. I've been waiting 17 years to hear him again say "Lord Stanley, Lord Stanley, get me the Brandy." Last night he says something else, and it didn't even rhyme. I'll still get it as the ringtone but it's just not the same. Kinda had that feeling of destiny, didn't it? All the storylines were there. How could they not have that perfect ending? Almost like SBXL. That grueling playoff run. How could they not close it out? The 3rd period was literally the most stressful twenty minutes of my life. It was like watching a twenty minute penalty kill. And the stress level rose exponentially starting with the first goal by Detroit with six minutes. Then the shot off the crossbar. Then Fluery stopping play with 6 seconds and an empty net at the other end. His save on Lidstrom with one second left is a perfect, yet unreal ending. I'll never forget their reaction, Fluery raising his arms only to take one last look at the clock to make sure it read zero before throwing his equipment down and everyone gang tackling him. 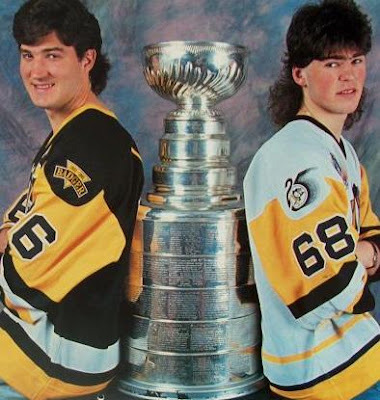 Anyone have a picture of Mario handing the cup back to Sid on the ice? Saw it on TV, can't find a picture anywhere. Yeah the last twenty minutes were extremely stressful but at the same time I couldn't shake the feeling that the Penguins were meant to win. After each of Talbot's goals you could just sense that the pressure was all on Detroit because the Wings were expected to win but the Penguins just seemed to want it more... it reminded me of the last ten minutes of the Miracle on Ice, to be honest. Also, that's hilarious about Dan Bylsma's website. I kind of hope he doesn't change it now lol.